A perfect mattress for a comfortable night’s sleep, the Signature Pocket Sprung Pillow Top Natural Fillings Mattress is an utterly luxurious choice that’s thickly filled with natural materials and finished with ample padding. 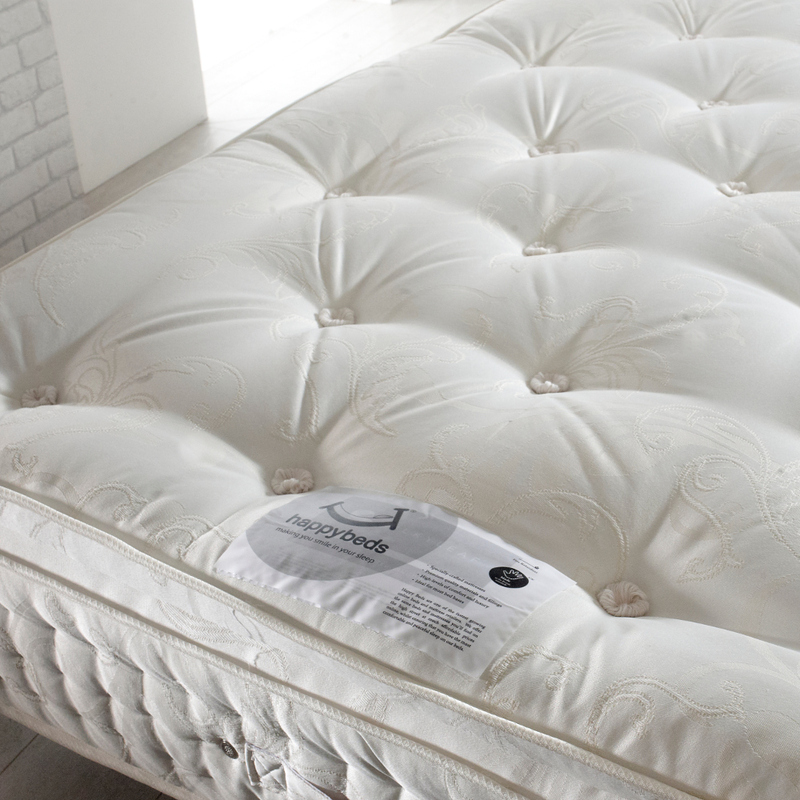 The Signature Pocket Sprung Pillow Top Natural Fillings Mattress is easily one of Happy Beds’ finest mattresses as well as one of the best on the market as a whole, making it a superb option for any sleeper looking to sleep in blissful comfort. 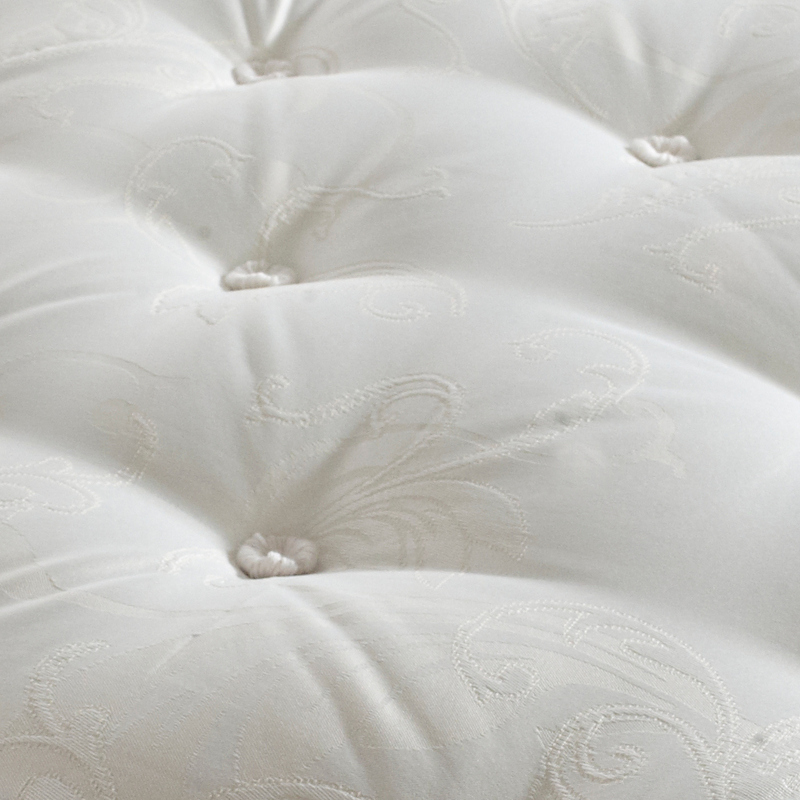 The interior of the Signature Pocket Sprung Pillow Top Natural Fillings Mattress is a richly filled natural filling mattress, containing all manners of opulent and natural materials such as silk, cashmere and wool. All the more enriching, and a key feature of the mattress, is the padded pillow top that makes the Signature Pocket Sprung Pillow Top Natural Fillings Mattress an incredibly comfortable pillow top mattress. Containing a wealth of individually nested pocket springs, the Signature Pocket Sprung Pillow Top Natural Fillings Mattress is designed as an impressively crafted pocket sprung mattress, the likes of which can accommodate separate sleepers with their own isolated sleeping spaces. The massive pocket spring count means that any restless movements will be kept to the offending aside of the bed, ensuring both sleepers will be able to rest undisturbed. Making the Signature Pocket Sprung Pillow Top Natural Fillings Mattress even more alluring is the soft and moisture absorbing cotton fabric, the likes of which is enhanced further by the durable wool topped, hand-tufted pattern. Easy to transport, rotate and move around the home thanks to its hand-stitched handles, the Signature Pocket Sprung Pillow Top Natural Fillings Mattress serves as a truly excellent choice of mattress. Can this mattress go straight on to a slatted base? Yes, the Signature PillowTop 2000 Mattress can be put straight onto a slatted base. The Signature Pillow Top 2000 Mattress does not come rolled. It will come in a protective wrapping and nothing else, to minimize waste. Pocket Sprung mattresses can't be rolled. We sell this mattress with a divan base. It fits very nicely to UK standard sizes. We can dispose of old mattresses if you were to buy a new one. What weight are the fillings .wool? Silk ? And what other natural fillings you got in the mattress to get it to 11 inch height. 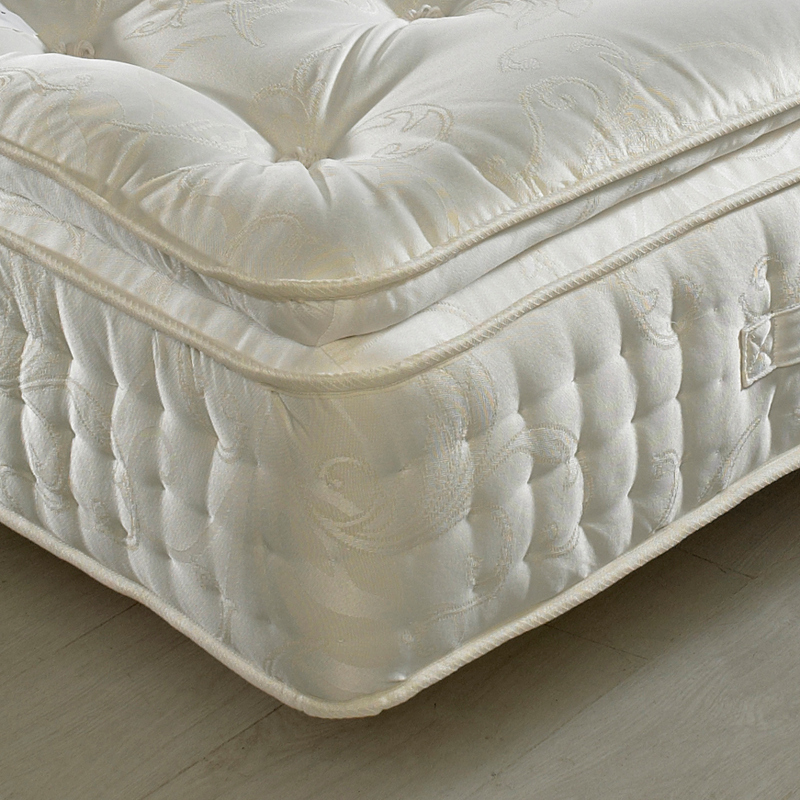 The Signature PillowTop 2000 Mattress is 13 inches deep, including the PillowTop. It contains pocket springs, lambswool, and silk. The mattress weighs between 12 and 30kg depending on the size of the mattress.